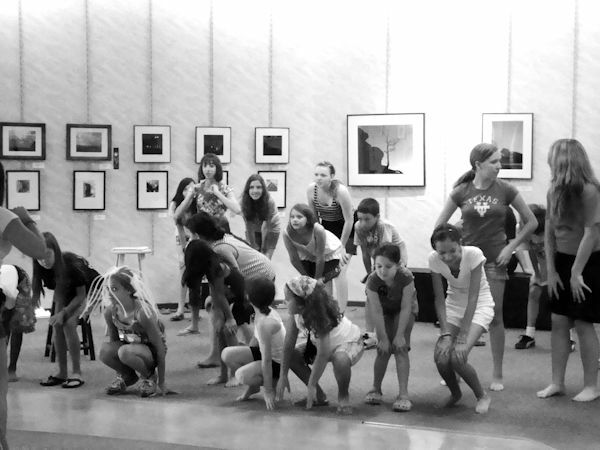 Flying Monkeys Theatre Day Camp for youth is back! Building on the past two successful years of the of Flying Monkeys Theatre Day Camp, West Central Illinois Arts Center will host two camps this summer. The first camp, for 7th-12th graders, will be held July 9-13, with special guest instructors from Core Project Chicago. The first camp will meet Monday through Friday, 12:00 to 5:00pm. Participants will work with the interdisciplinary artists of Core Project Chicago to create, produce and perform an original production using the sites, sounds and lore of Macomb. Workshops will be led in dance, theatrical techniques, production and performance catering to each participant's individual interest. The second camp will target age 1st - 8th grade and will be held July 16-20. The second camp will be held Monday through Friday, 1:00-5:00 pm. Children attending this camp will participate in drama games, improvisation, collaborative skits, scene development, singing, dancing and a little bit of Shakespeare. A culminating Showcase highlighting each participant's interests and accomplishments will be presented at the end of the camp, lead by Leah Farrar-White. She has been creating and teaching drama and theatre workshops for children and youth for 20 years. Designed to spark the imagination and focus on the creative process, these camps will improve self-confidence and promote teamwork. Each camp will conclude with performances on Friday evening and Saturday afternoon, allowing the students to share their experience with family and friends. No previous theatre, singing, or dancing experience is required-only the desire to have fun! Registration forms will be available online at wciarts.org, as well as at the WCI Arts Center, 25 E. Side Square in Macomb (open Fridays, 4-7pm and Saturdays, 10am-4pm). For additional information, contact Nancy Crossman at programs@wciarts.org.